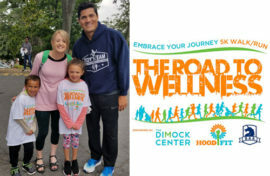 Braintree, MA (September 17, 2018) – As part of their wellness initiative, Peabody Properties recently sponsored the 4th annual “Road to Wellness Walk/Run,” which started at the Dimock Center in Roxbury and continued through the Roxbury community. Lynne Sales, Peabody’s Director of Peabody Resident Services and a resident of Burlington, was one of Peabody’s participants. 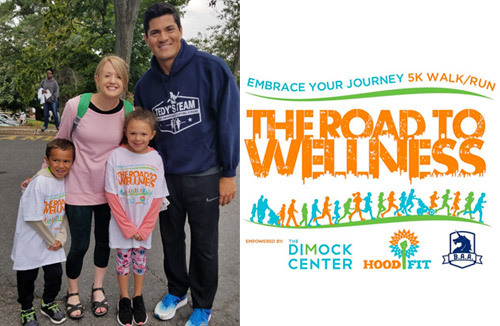 Pictured here: (left to right) Braeyln Sales, Lynne Sales, Brevin Sales, and special event guest Tedy Bruschi.